Eurochange is widely recognised as the foreign exchange expert. 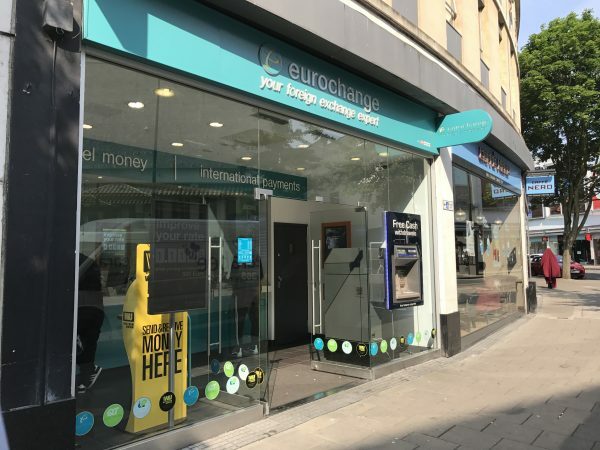 Conveniently located on The Horsefair, Eurochange buys and sells foreign currency as well as foreign currency travellers’ cheques, commission free and at great exchange rates with improved rates for larger amounts. Eurochange also offers international payment services, western union money transfer and international phone cards. Easy access shopfront and low level counters are specially designed for wheelchair users.